The Prepaid Japan SIM Card gives you totally unlimited 4G LTE data in Japan for 8 days. The Japan SIM card is Nano size and comes with a Micro and Mini adapter to fit any unlocked device. 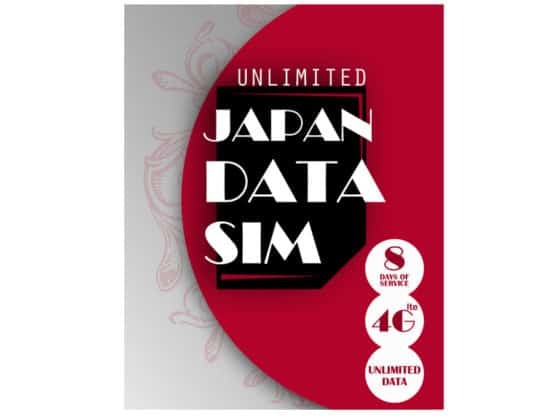 The Japan SIM Card gives you totally unlimited 4G LTE data throughout Japan! It works on Japan’s Docomo network giving you great nationwide coverage. So, you can easily navigate Japan with maps, transport information, translation apps, travel tips – and all-important social media – so you can keep the folks back at home up to date with just how amazing Japan is! There’s no need to worry about running out of data – or needing to top-up – your data is fast and unlimited for 8 days. Your Japan SIM Card is fully active upon receipt. It’s valid for 8 days from the date of first use. To start using your SIM, simply follow the instructions included in your user guide to enter your APN settings. 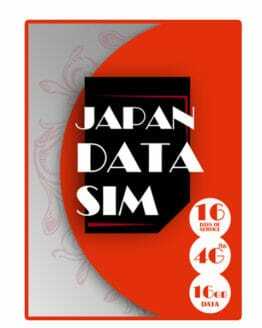 This is the best sim card for Japan! I don’t know how someone could give this sim card a 5 star rating. This is even slower than dial up internet. Using it in Tokyo and it is horribly slow. Our SIMs offer 4G LTE data where available. Speeds may sometimes be restricted due to network fair usage policies or high traffic. We’re very sorry to hear you have experienced problems using your SIM. Would you please confirm what kind of device (smartphone/tablet/MiFi, etc.) and the make and model of the device you are using (eg iPhone 6)? We’ll be glad to try and investigate the issue for you. If we are unable to fix the problem, we’ll be glad to replace or refund your service. I had a problem with the original card I ordered, the speed of the card was so slow it was unusable. Luckily after getting in touch with the support team I was sent a new card which worked liked a dream! Thank you for the top service! Thank you for your review, Jes! We are very sorry that your original SIM Card was slow, however, this problem has now been resolved and we even have a new supplier to prevent this from happening again. We hope you enjoyed the rest of your trip! 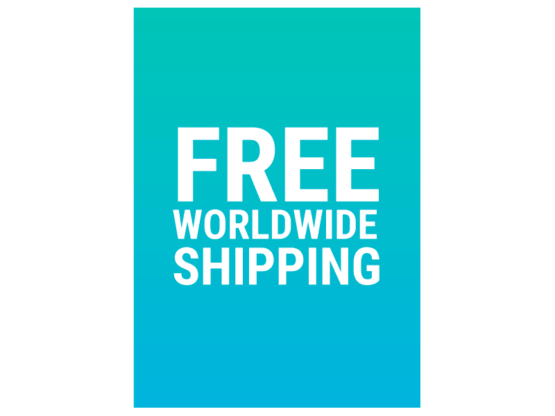 You need to purchase the sim online first and then arrange shipping or delivery. The option exists to collect at any Japan Post Office including at Narita airport. Do you have pick up point in fukuoka? Do you have oick-up point in fukouka airport? Hi Kristian- we don’t have a pick-up point per se in Fukuoka Airport but if time permits we could arrange to post your SIM to the airport post office? Do you ship directly to hostel/hotel? simply wait until your free sim expires. Will you arrange to collect our sim at the airport post office? I hope so! 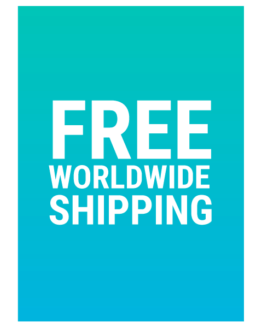 will the delivery be free if Im getting the sim at narita airport on Nov 19? Worked always and everywhere except in long Shinkansen tunnels and in a couple of places along the Narita-Tokyo line. My phone has 4G band 20 instead of 19 so I didn’t expect it operating in less urbanized areas. Regarding slow speed like noticed by Raymond HA. Well, slower speed periods certainly correlate with rush hours, I don’t know if Geek card receives less speed at rush hours than native Japanese cards, but it was usually better than available from hotel WiFi. I stayed in 4 different hotels during my trip. Always it was not possible to watch online video from European servers through hotel WiFi at evenings even after rush hours while Geek card had problems only during rush hours. admit when the networks are a bit busy but as you say the Unlimited SIM is the best deal out there. Hope you enjoyed your trip! Do you know if it works with WhatApp for dial and video with the unlimited 4g sim card ? Yes- the sim works will all apps and allows video calls, etc. Enjoy Japan! Does this SIM card have any daily data consumption restrictions? is no better value for large data users than the Unlimited Data series. The best! also, the customer service through email will reply to you. at first, you need to configure the APN settings carefully. After that, you are good to go. pretty fast connection i had. will purchase this again when i go back to Japan. In keeping with our customer service allow me to reply to you also. Thanks for leaving positive feedback & for the good advice to others. Safe onward travels!